The famous house on Pokrovskaya Street, in which the artist’s childhood and youth passed, was built by his father in the early 1900s on the right bank of the Western Dvina. During the war the brick building was badly damaged by the bombing and fire – and miraculously survived. himself created, from memory, capturing the interiors of the parents’ house. 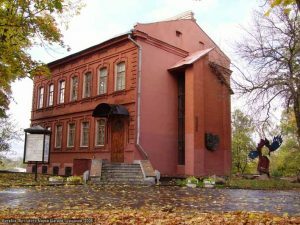 On the left bank of the Western Dvina is the second building of the museum – the Art Center of Marc Chagall, where one of the largest collections of Chagall in the world is located, uniting more than 300 original graphic works and reproductions of the most famous paintings. The Art Center of Marc Chagall was opened in 1992 in a building of the 19th century, which is depicted on the world-famous canvas “Above the City”. 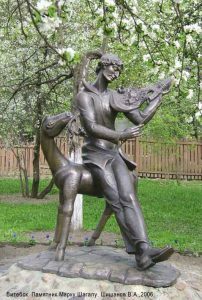 The first exhibits in the collection were works presented by friends – “A circle of assistance to the Chagall House-Museum in Vitebsk” (Ninbur, Germany). The museum contains a rich collection of graphic works by the artist, which included lithographs, woodblock prints, as well as 3 colored aquatints donated in 1994 by the daughter of the artist Ida Chagall, and 96 etchings representing a series of book illustrations transmitted by the granddaughters of the artist Meret and Bella. Traditionally, the Art Center hosts exhibitions of works by Marc Chagall from his own collection of the museum and a collection of his descendants, as well as paintings by contemporary Belarusian and foreign artists. 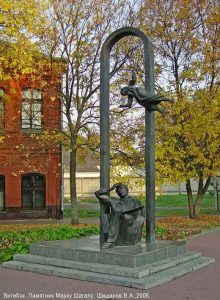 Within the framework of the Shagal’s Readings there are scientific conferences, vernissages, lectures, concerts, performances of theater and circus groups, plein airs, as well as exhibitions of graphic works by young artists of the city. In the building of the Art Center there is a scientific library where you can find books about the life and work of Marc Chagall. The opening took place in 2002 in honor of the 115th anniversary of the artist’s birth and was possible due to the generous gift of Dr. Henry Mandel (Irrel, Germany). In 2015, in honor of the 100th anniversary of the marriage of Marc Chagall and Bella Rosenfeld in Vitebsk, a wedding extravaganza “Lovers over the City” was held. 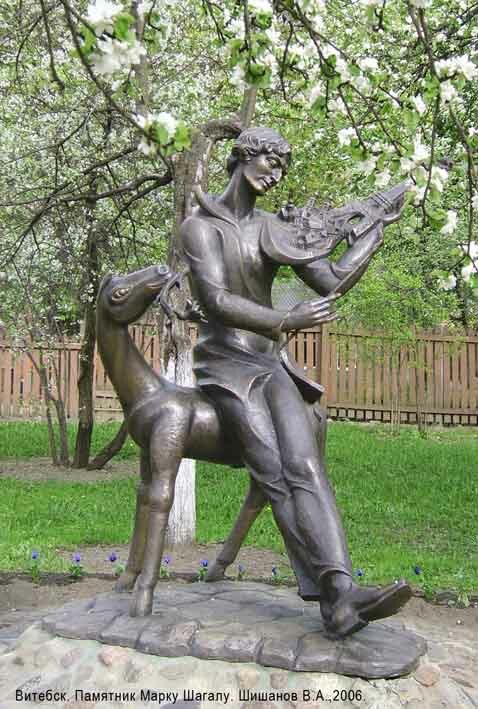 The house-museum of Marc Chagall is located in the center of Vitebsk near the railway station – st. Pokrovskaya, 11. Art Center of Marc Chagall – st. Putna, 2 (Soviet, 25). Working hours: 11.00 – 18.30. Weekends: from October 1 to April 1 – Monday, Tuesday; from April 1 to October 1 – Monday.